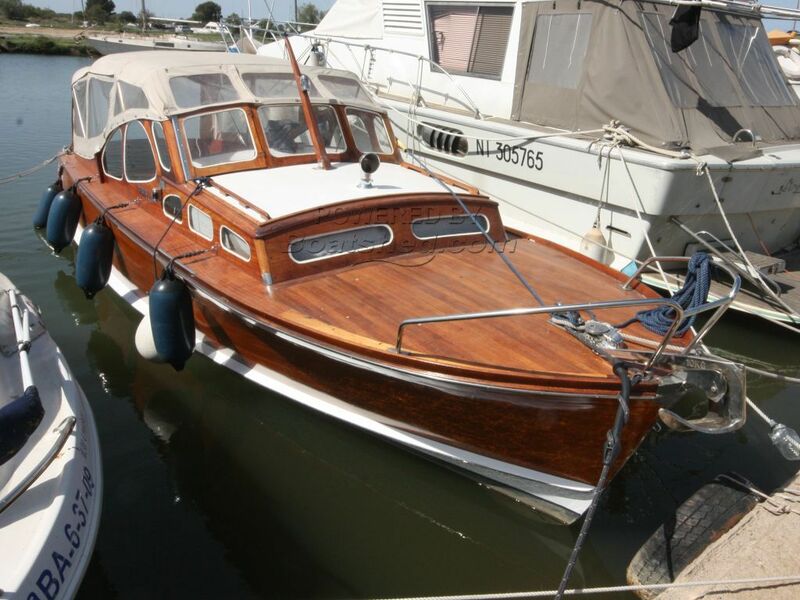 A Beautiful classic wooden (Mahogany & Acacia) boat designed by C G Pettersson of Sweden. New Beta 60 hp engine was installed in August 2011 with only c.150 hours since. A cosy cabin below with either twin or double sleeping arrangement. Comfortable cockpit with plenty of seating and a full camper canopy that can be used as just a sprayhood and/or bimini. A real head turner. French registered. These boat details are subject to contract. This Pettersson Vedette Suedoise has been personally photographed and viewed by Paul Griffiths of Boatshed Costa Brava. Click here for contact details.